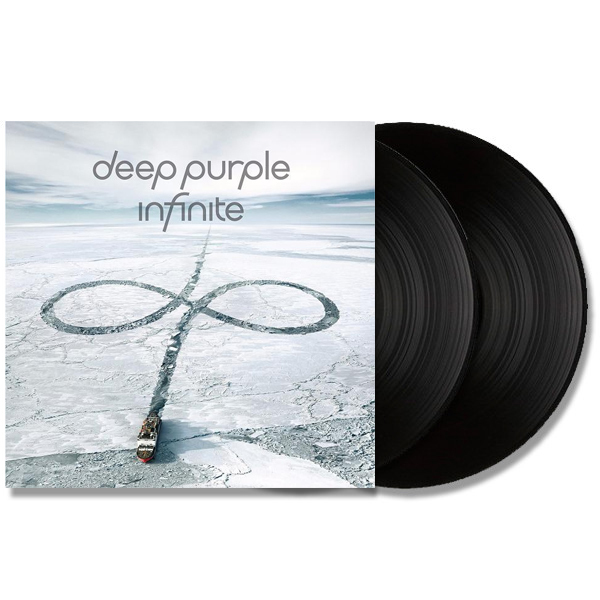 This is the vinyl format of the Deep Purple “InFinite” album. It is a 2LP set with additional DVD included. Deep Purple are one of the most influential British rock bands of all time. With 120 million albums sold worldwide, they are one of the most loved British bands of all time. Recently inducted into the Rock And Roll Hall of Fame, they have inspired and shaped the taste of generations of hard rock musicians and fans with milestone albums like "In Rock" or "Machine Head" which are essential chapters in rock music history. Their live album "Made in Japan" is often referred as one of the best (if not "the best" live album of all times). "NOW What?! ", released in 2013, brought Deep Purple back to the top of the charts worldwide. The tour that followed sold over a million tickets worldwide. Ian Gillan, Roger Glover and Ian Paice are the three members from the current line-up who have been part of the band since it's "Mark II" version, the one that is considered the "absolute classic". The current line-up of the band is completed by Don Airey (about to release his 4th album with the band) and Steve Morse (who has been in the band for over 20 years, about to release his 6th studio albums with Deep Purple). With "inFinite" and the associated "The Long Goodbye" tour, Deep Purple are approaching a turning point. Is the band about to write the final chapter of its career? As a natural follow up to the worldwide success of "NOW What?! ", "inFinite" has once again been produced by Bob Ezrin who has formed with the five members of Deep Purple, an explosive songwriting team. "InFinite" is possibly the most "seventies" of all Deep Purple albums released since the 1984 reunion with "Perfect Strangers". Ezrin and Deep Purple have managed to capture the purest Purple classic sound while staying well away from the temptation to be nostalgic or to "play themselves". On the contrary the band shows the tranquillity to not care about delivering short songs or to limit the long solos and the moments of improvisation. Just as when the story started, in an ideal cycle that comes to completion. From "in Rock" to "in-finite". Possibly destined to end, but still terribly good. The end, the allusion of the band's forthcoming tour name, a theme recurring in the songs and surely something that the band will be asked about. If this is really the farewell album by Deep Purple, there could not be a better one, or are they once again making fun of everybody? "Deep Purple's progressive album" - it's what a critic said after a recent private playback of the album. "We are an instrumental jazz band, with somebody occasionally singing on it," was Ian Gillan's reply. If this is the case, guitars haven't been harder for a jazz band, "inFinite" in fact shows also a side of Steve Morse that not everybody was expecting, melodic, raw, close to the roots of the blues rock. "InFinite" is heavy and delicate at the same time, with an inspired Ian Gillan who is totally free from the duty to sound as people expect, delivering a versatile and exciting vocal performance during the whole album. The production and song-writing process has been captured on film on the movie documentary "From Here to inFinite" which is available with a various number of versions of the album as a bonus DVD. It is a treat for all fans to be able to enter the recording studio and witness producer Bob Ezrin interacting with the various personalities and talents in the band.